Sukke is a classic Konkani dish where some vegetable or sea food is cooked in spicy coconut paste. 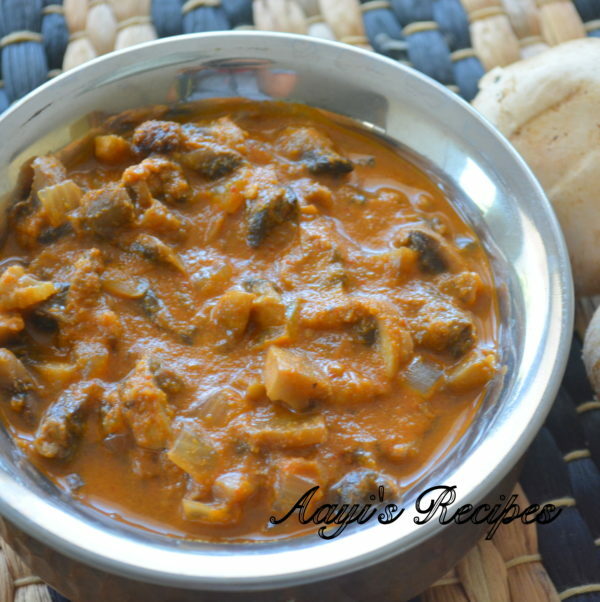 Mushroom or almbe sukke is one such dish which I prepared after a very long time. As I have mentioned before, the artificially grown mushrooms are no comparison to the wild mushrooms that we get in my hometown. The grated ginger gives an amazing aroma to the dish. Make it as spicy as you can handle. 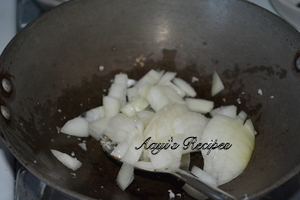 Serve it as a side dish with rice and dal. Fry coriander seeds, red chillies. Grind with coconut and tamarind. Fry onions and ginger. 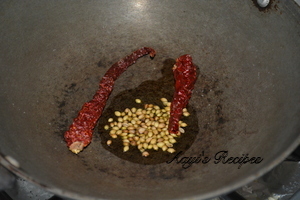 Heat oil and fry coriander seeds and red chillies. Grind them with coconut, tamarind to a smooth paste with little water. Heat oil and fry onions till translucent. 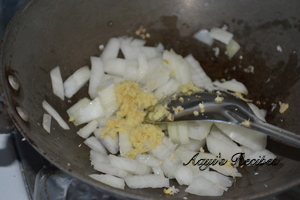 Add grated ginger and fry for few minutes. 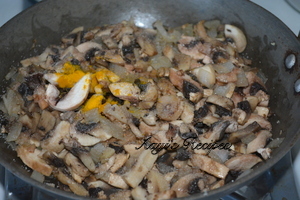 Now add chopped mushrooms, turmeric, fry and let them cook for few minutes by covering the lid. 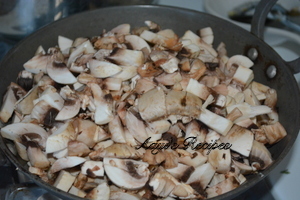 When they are almost half cooked, add the coconut paste, salt. 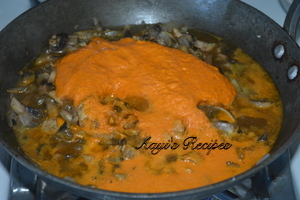 Cover the lid and cook till mushrooms and coconut paste is cooked. Great recipe Shilpa. Waiting to try it. Brings back memories of my Mom’s kitchen. New to your space. very nice and unique collection. visit my blog too. Made this last evening! It was fantastic. Onto the mushroom capsicum next. Every week, I read through the recipes and decide on few items to make. So far, its been fantastic! Thank you!